Governor of Mississippi to Israel Sci-Tech Schools: Set up an Israel Sci-Tech School in Mississippi! At Israel Sci-Tech Schools, we’re proud to host many officials from other countries who come to learn about our programs in the hopes of bringing it back to their countries and states. 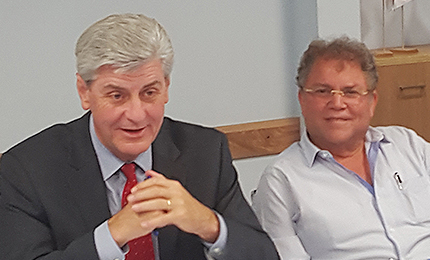 We recently hosted the Honorable Phil Bryant, Governor of Mississippi. When Gov. Bryant visited Israel Sci-Tech Schools network recently, he had one request of Israel’s leading science and technology education network: Set up a school like this in Mississippi! 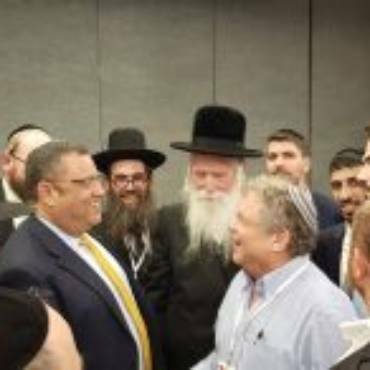 Director-General of Israel Sci-Tech, Mr. Zvi Peleg’s team also introduced Governor Bryant to the Israeli Minister of Education. Be sure to watch this space!